This well-structured red blend reveals red berry fruit aromas and flavours with hints of spices on the palate. The wine is named after a lady rumoured to have been a particularly close friend of Simon van der Stel, the first Governor of the Cape. Vineyards had perfect canopies - allowing optimum light penetration for the ripening of bunches and development of good colour. Overall 2011 was a harvest that brought a smile to a weary Viticulturists face! Although a dry winter, there was plenty of water when required in the hot summer months to get the vineyards to mature naturally without undue stress. At harvest, perfect phenolic ripeness with lovely soft, ripe tannins was achieved. The berries came in at lovely low sugars due to cool conditions at harvest, awesome colour and great quality berries. Harvested: Mid-February - end March 2011. 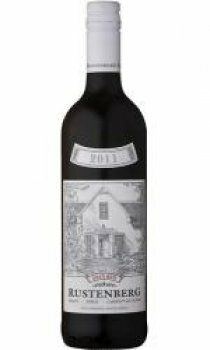 37% Merlot; 29% Shiraz; 27% Cabernet Sauvignon; 7% Cabernet Franc; 2% Petit Verdot.